Retinol has become a bit of a buzz word recently but what is it and should we be using it? Retinol is Vitamin A in its molecule form, found in food, dietary supplements and skin care products. It is used to treat and prevent Vitamin A deficiency. It is the only known molecule that helps keep the skin healthy and helps to provide anti-aging benefits. Vitamin A belongs to a family of chemicals called Retinoids. There are four main forms of Vitamin A but they all have the same action. 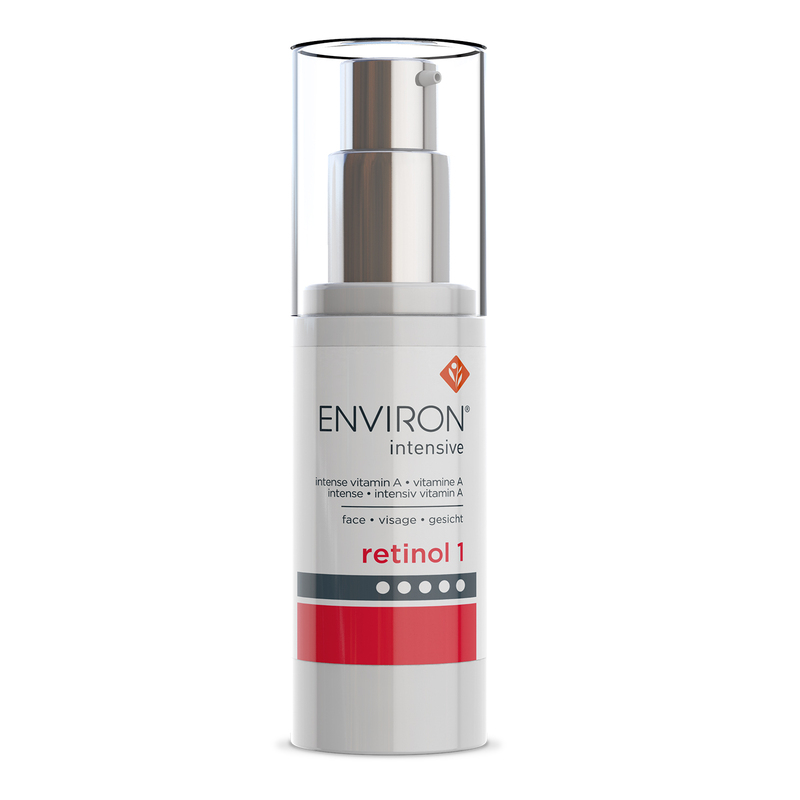 Retinol increases cell production helping in plumping up the skin allowing skin to look smoother and younger, improving skin texture, diminishing wrinkles and fine lines, helps with pigmentation and tone with just a small amount of serum or cream. Retinoic Acid (Retin A) works on the DNA of the cell nucleus. Normally only available on prescription. Retinyl Palmitate is a milder form of Vitamin A but still active and easier for the skin to tolerate. Skincare’s miracle ingredient doesn’t work overnight. As associate Professor of Dermatology Dr Adam Friedman says because retinol works by literally augmenting the biology of the skin. Most case studies take 12 weeks to see any changes. A recent BBC programme ‘the truth about looking good’ said that all we needed for wrinkles and ageing skin is Retinol and SPF. We totally agree with this, here at Beauty Haven our leading skincare range is Environ. Environ is a globally recognised Professional skin care brand built on science, beauty and care. Only available through authorised trained Environ Skincare Professionals. Environ use a vitamin Step-Up System that helps the skin gradually accept increased dosages of Vitamin A and other essential nutrients. Founder and director of Environ Dr Des Fernandes says “Aging skin is a direcrt result of sun-induced vitamin A deficiency. Correct the deficiency and you’ll have more radiant-looking skin”. A deficiency in vitamin A could lead to pigmentation. Vita-Peptide C-Quence Serum 1- Is the first level in the step-up system which contains the lowest concentration of Vitamins A, C and E. Also packed with antioxidants and peptides that help maintain a smoother and youthful looking skin. Vita-Peptide Eye Gel – Our best selling eye gel stimulates collagen and elastin production to firm and tighten skin. Relaxes facial muscles to reduce wrinkles and fine lines. Vita-Antioxidant AVST Moisturisers Step 1-5 – Step up levels of Vitamin A to normalize and repair skin cells. Protects from environmental and UV damage. Combats the visible signs of ageing and stimulates collagen and elastin. The use of high effective doses of vitamin A and antioxidants support healthy looking skin and combats the visible signs of ageing. Each product has been clinically tested by Dr Fernandes and his team, and by independent collaborators, to be effective and safe. Products are sold only through expertly trained and authorised Environ Skin Care Professionals. Maximum effectiveness of formulations is maintained by prevention of exposure to light, heat, air, and irradiation during manufacturing, in other words, Environ skin care products are packaged in specific containers which prevents light, air and bacteria from degrading formulations. Packaging ensures that all ingredients retain their efficacy. Suitable for all skin types, all ages and all genders.With these five star benefits and Environ’s industry leading Vitamin STEP-UP SYSTEM™, skin can be reborn and look healthy and beautiful for a lifetime. Vitamin A is the only scientifically known element that keeps skin healthy and combats the effects of aging. It has been proven that sufficient levels of vitamin A promotes the effects of the skin’s natural moisturising factor and gives it a radiant glow, strengthening the effects of the skin’s outer layer to keep it looking firm. Vitamin A stimulates the production of natural protein to keep skin looking healthy, it supports the effects of skin’s immune system and helps prevent the appearance of breakouts. Before you start using products containing Vitamin A and retinol, seek advice from a skincare professional as there are certain medical conditions and medications that would be contraindicated to its use. Scarring, what can you do?